Within the PYP it is believed student learning is best done when it is authentic - relevant to the "real world" and Trans-disciplinary - where the learning is not confined within the boundaries of traditional subject areas but is supported and enriched by them.Our holistic curriculum aims to build student profile which will help them to engage activity in the community in line with the IB mission statement. Balanced: We understand the importance of balancing different aspects of our lives—intellectual, physical, spiritual and emotional—to achieve well-being for ourselves and others. We recognize our interdependence with other people and with the world in which we live. International Mindedness is the awareness, tolerance, love, concern, caring and sharing of all things and living beings on Earth. International Mindedness is making children sensitive towards people, animals and the environment. It crosses all cultural, regional, race and religious barriers and helps to make children truly global. International mindedness is amplified through many school wide activities like celebrating World Water Day, Earth Day, Festivals around the world and Independence Day of different countries . 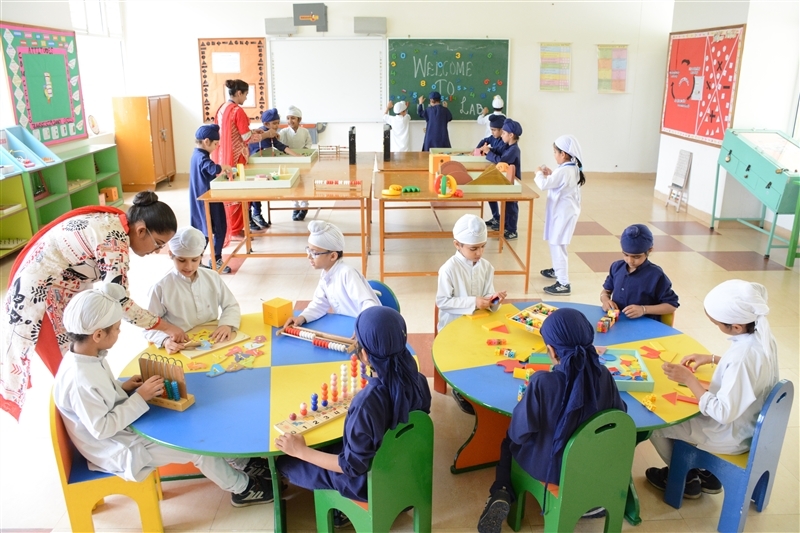 Students also engage in integrated activities that promote international mindedness through the units of inquiry throughout the year .